Gu Cun is a registered architect and a volunteer advocate for the promotion and protection of traditional Chinese architecture. This article is the first in a series about Liang Sicheng, one of China’s best-known architects. The second article can be found here. On April 1, the Chinese government announced its decision to establish Xiongan New Area in northern China’s Hebei province, designating the future city “a focused area for relieving Beijing of its nonofficial functions.” In other words, China’s supersized capital city, with a population exceeding 20 million, will transfer its industry to Xiongan. At the same time, Beijing will also relocate its administrative center to Tongzhou District in the southeast of the city, allowing it to focus on its political functions as a major capital city. Amid all the attention-grabbing headlines in the news, one man remained overlooked. This person is Liang Sicheng, one of Chinese architecture’s most celebrated figures. More than 60 years ago, Liang suggested that Beijing should concentrate on its role as a political and cultural center, and that a new city should be constructed outside Beijing’s old town to handle administrative affairs. However, these suggestions were not adopted at the time, and Liang was unjustly criticized for his proposal. This is not the first time I have dwelt on the memory of Liang Sicheng. Fifteen years ago, several like-minded friends and I began to follow the tracks left by Liang and his wife, Lin Huiyin, studying the ancient buildings that the couple had once surveyed. 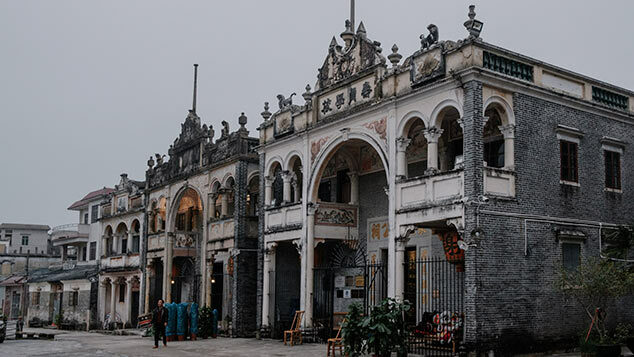 Our journey through the past was more than an attempt to relive the hardships that our forebears went through in their quest to piece together China’s architectural and cultural legacy. We hoped to show the public the great changes that our shared heritage had experienced over the course of the last few decades alone, and the visionary wisdom that Liang and Lin displayed to protect it. During the course of over a decade, we traveled across the country, visiting more than 100 old architectural sites and ruins. Out of necessity, our long trek through the past began in Beijing. 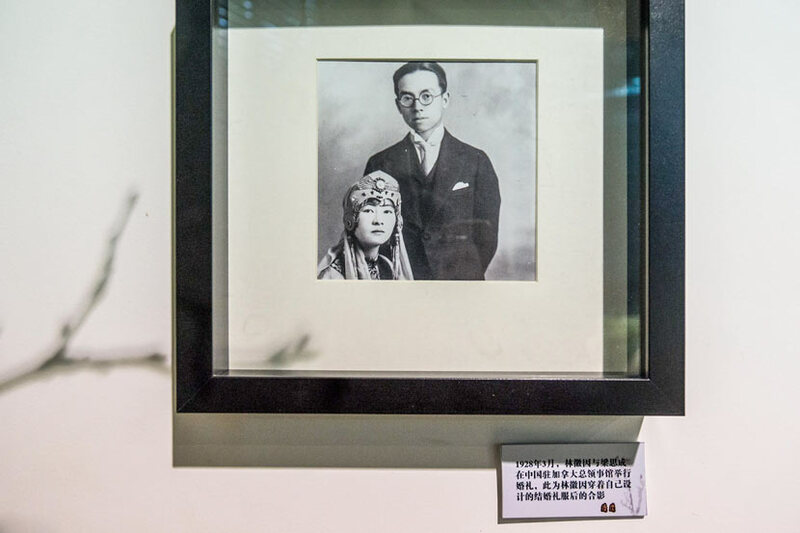 To Liang and Lin, Beiping — the capital’s name prior to the establishment of the People’s Republic — was more than their place of residence; it was their spiritual home and the focus of their research. 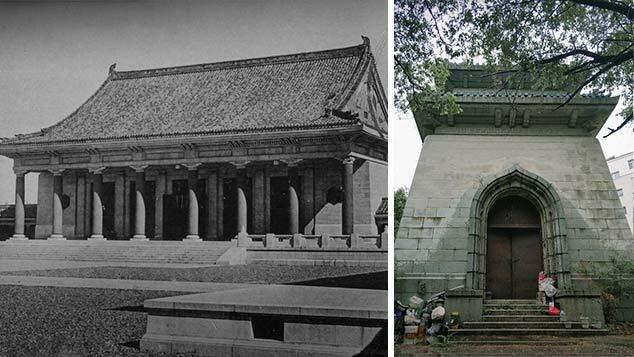 Both Liang and Lin were scholars of architectural history. After receiving bachelor’s degrees from the University of Pennsylvania in the United States, they went back to China and played leading roles in the establishment of the architecture department at Northeastern University in Shenyang, Liaoning province. They returned to Beiping in 1931 soon after the Japanese invasion of northeastern China and joined the Society for Research in Chinese Architecture (SRCA), a nongovernmental academic group established with the goals of researching China’s ancient architecture and promoting traditional Chinese culture. Liang became the director of the methodology department, and Lin became the society’s sole female member. At the time, the couple lived in one of eastern Beiping’s siheyuan, a handsome, traditional residence built around an enclosed courtyard planted with flowering trees. On weekend afternoons, the drawing room in the courtyard’s northern building was packed with scholars, writers, and artists. It was one of Beiping’s famed academic salons. 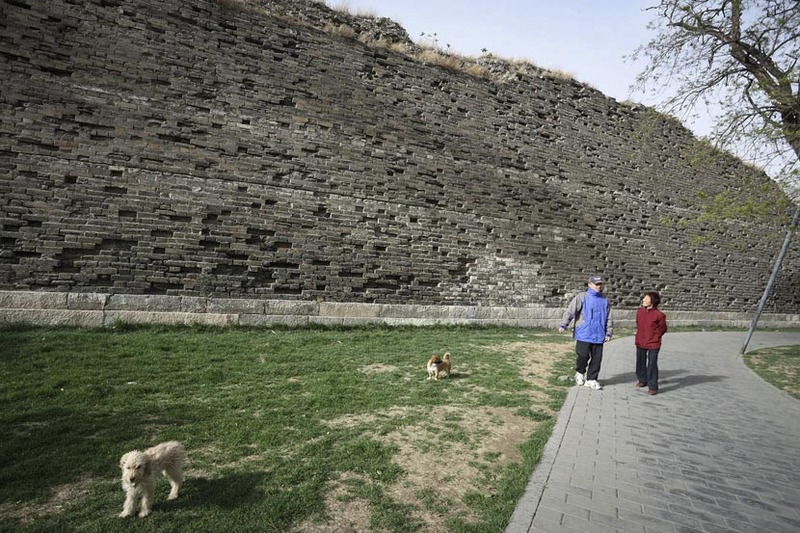 To Liang and Lin, who had been born and raised among ancient architectural features, few things were as painful as the act of demolishing the Ming-era city walls. It was at one of these salons in 1932 that Liang and Lin hosted the American scholar John King Fairbank, who was writing his doctoral thesis, and his fiancée, Wilma Denio Cannon. Liang and Lin introduced the couple to many Chinese scholars, and during the years that followed, Fairbank and Cannon became the most esteemed American scholars in the fields of modern and contemporary Chinese history and Han Dynasty art, respectively. Beiping had been the capital city of the Ming and Qing dynasties, the spirit of five centuries of great architecture ran through the old city. Liang believed the capital to be the world’s greatest ancient city still standing. Under his direction, the SRCA carried out surveys of nearly 100 ancient architectural sites inside the city, such as the Forbidden City, the Imperial Ancestral Temple, the Temple of Heaven, Beihai Park, and the Ming tombs. The society performed a significant amount of preliminary survey work contributing to the protection of the ancient capital. When the Japanese invaded the Chinese mainland in 1937, Liang and Lin were forced to leave their beloved Beiping and begin a new stage of their lives, one that would see them drifting through the chaos of war. It would be a decade before they saw Beiping again. When the Communist Party reunified China in 1949, the government gave the city back its original name, Beijing, and chose it as its capital. A new era had begun — not only for Beijing, but also for Liang and Lin. The following year, Liang, who was teaching at the prestigious Tsinghua University, and his colleague, Chen Zhanxiang, jointly presented the Liang-Chen Proposal. They recommended establishing the administrative center for the new government in the western suburbs outside the ancient city, as well as preserving the ancient city in its entirety. Unfortunately, the plan was rejected. To the Chinese leadership, ideologically committed to Beijing’s transformation into a modern, industrial city, the idea of preserving the ancient center was pure anathema. Liang’s suggestions were condemned as “symbols of the old era,” and he was told to reform his thinking. 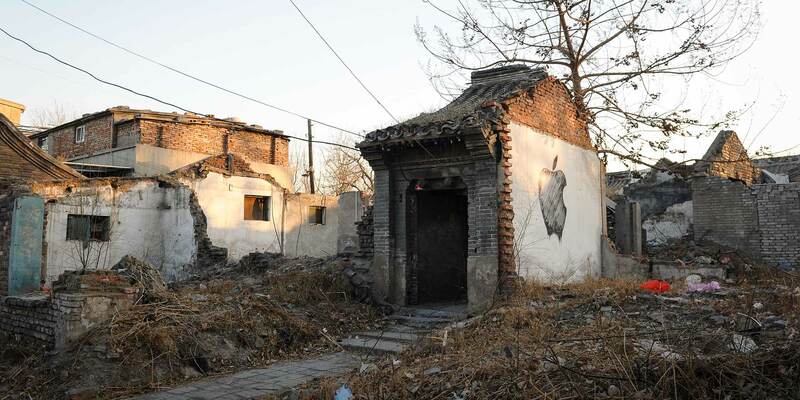 Over the years that followed, many of Beijing’s charming hutong neighborhoods and decorated temple archways were razed in the name of urban development. The desire to protect these ancient pieces of architecture weighed even heavier on Lin, who died in 1955 of tuberculosis amid the ongoing destruction. She once criticized the city’s vice mayor, Wu Han, to his face, predicting that future leaders would all but certainly regret the removal of Beijing’s ancient architecture, and that a rebuilt version of the ancient city would be nothing more than a false antique. She was to be proven right. Reconstructed buildings may follow the former site’s forms and dimensions to the letter, but they are still awkwardly posed relics couched in a forest of concrete, steel, and glass. In 1972, Fairbank and Cannon came back to Beijing for the first time in 25 years. They returned to find a city unrecognizable from the one that lived in their memories. The simple yet magnificent city wall had already vanished, and the lushly landscaped old residences were now dilapidated estates. In his 1982 book “Chinabound: A Fifty-Year Memoir,” Fairbank described this trip to Beijing as waking from a Rip Van Winkle-esque dream to find that everything he remembered about his former home had changed. The Americans’ grief was compounded by the news of the death of their close friend: Liang Sicheng had passed away four months prior, at the age of 70. For present-day history enthusiasts, retracing the steps of Liang and Lin is a journey intertwined with disappointment. This is especially true in the crowded and noisy city of Beijing. Zongbu Hutong, the walled alley to the west of the Second Ring Road, where the couple lived during the 1930s, is now buried among towering buildings. On the day we visited, an elderly woman in the hutong told us that although the couple’s courtyard was still there, the buildings themselves had been destroyed long ago. When we opened the courtyard door, we were met with a desolate scene: The walls stood crumbling around a dilapidated garden, one that was a far cry from the blossoms Lin had so diligently tended back in the ’30s. Before we were able to get a good look at the interior, a security guard rushed out from inside and sternly ordered us to leave. His explanation was simple and curt: Visitors were not permitted. Not long after this, I found out that the local government planned to halt the construction work in the area and rebuild the houses it had knocked down. But can a fake old building really do justice to the memory of these two great architects? Though they may follow the former site’s forms and dimensions to the letter, they will still sit as uncomfortably as Beijing’s recently reconstructed Yongdingmen city gate, an awkwardly posed relic couched in a forest of concrete, steel, and glass. We cannot recover what we’ve already lost.